Then, my doodles with shapes, designs and colour led to the peaches creation (above). Hm. Mr. Hausfrau said it hearkened the '70's for him. Don't know where to go with that. What else? Oh, a friend brought a beautiful BC red with her which we shared over some nice takeaway sushi. Oh I love these peaches! are they in your ETZY store? I agree with your mister Hausfrau the remind me of the 70's. Being borne in 69 they totally resonate with my warm and fuzzy childhood memories of the graphics on tv and in books! 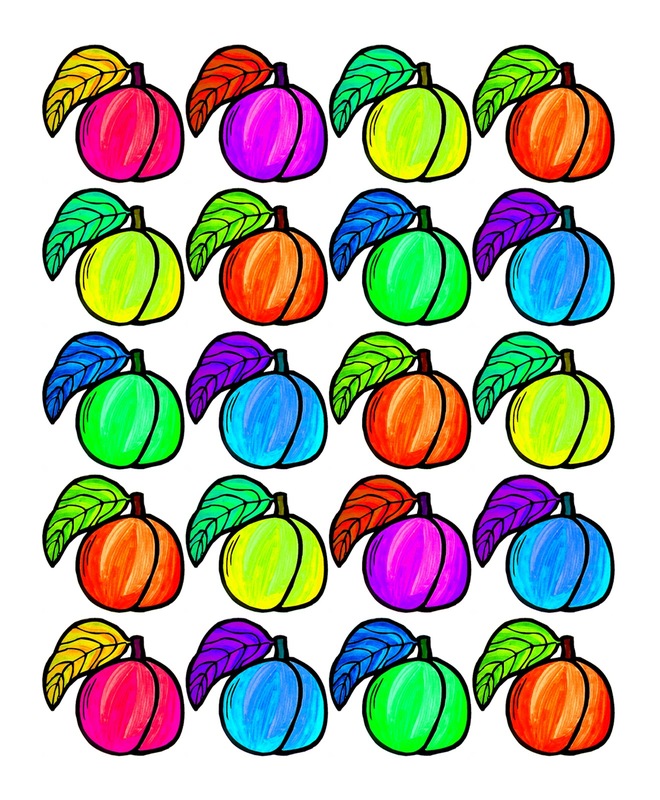 Love the peaches in an array of colors! wow! super vibrant colors! love it!